The lovely 'My Family' collection by Nomination is dedicated to the special people in our lives. As all dog owners would agree, your favourite pooch is part of the family so add this charm to your bracelet and celebrate man's best friend. 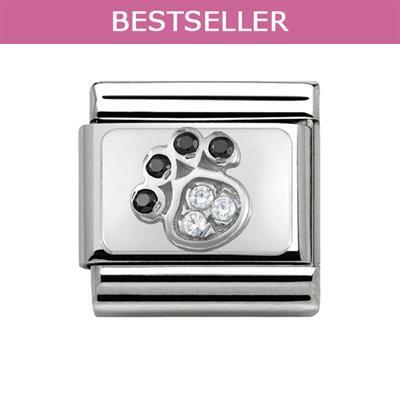 This classic Stainless Steel link is detailed with Sterling Silver with a cute paw print embellished with black Enamel and three sparkling stones.